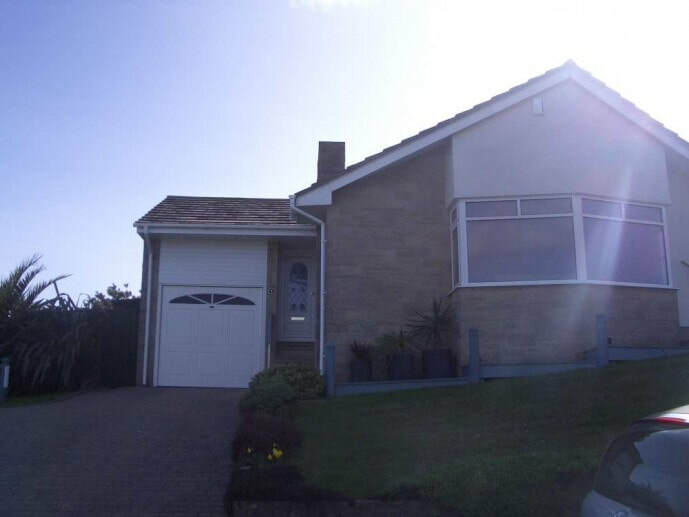 The client requirement was that a double garage, with a new en-suite master bedroom above, be provided to an existing bungalow. 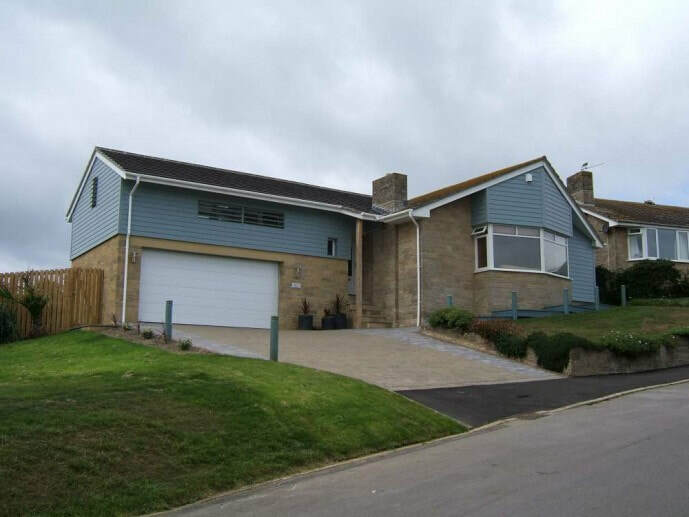 The existing garage was extended and the roofline of the new work raised to that of the original bungalow. The lower level is in reconstructed stone to match the existing. 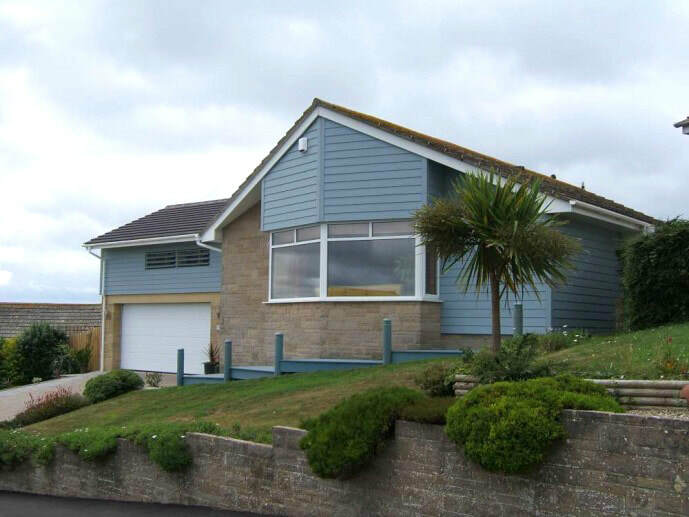 The upper level, along with part of the original dwelling, is in a blue/grey horizontal cladding to reflect the coastal location of the site. There is a louvred, low level window in the bedroom (over the garage door) that allows long distance views to the north.